Many of our guests return time and time again because of the fantastic collection of activities on offer for the little ones. 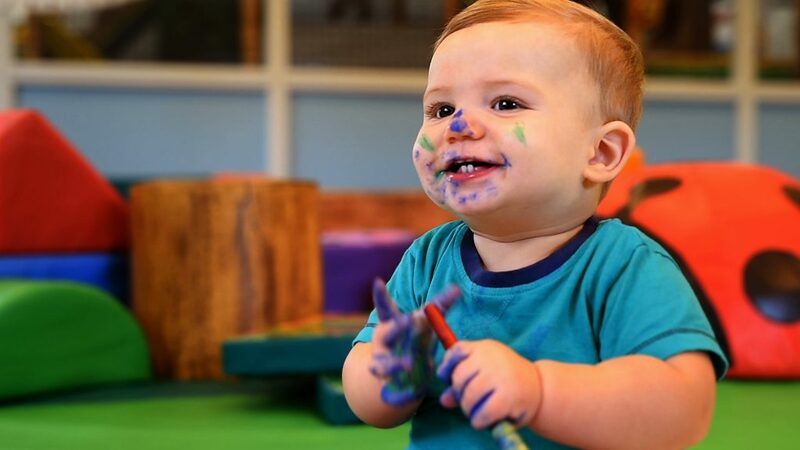 Two years ago we opened the Activity Hub; a dedicated children’s activity space within our Bar & Grill entertainment venue and since then we’ve enhanced our ever-growing list of baby & toddler activities. These experiences stretch across The Village too and it’s great to see guests who return to enjoy these all-new activities and offerings each year. There’s so many to choose from so we’ve put together a list of some of our guests’ favorites. The list doesn’t stop here though! Get involved and comment below; we want to hear what activities your children love on their Ribby Hall Village holiday. We all get told kids are messy but during this session they really are! The little ones can explore our different play areas and get as messy as you want them to; using paint, slime, sand, soil and much more. Little musicians at the ready! This interactive musical experience is soundsational and is sure to put a smile on your little one’s face. It’s a joy to see the interaction the toddlers have with the Activity Hub team in this hugely popular activity. Budding young gardeners, it’s time to shine! Get stuck in with our Activity Hub team as they plant flowers, learn about the natural environment and decorate a plant pot to take home. Unforgettable moments are made in so many ways on holiday but watching your little ones learn new skills is very special. Watch the smiles on their faces as they are introduced to basic ballet moves to music; creating memories you’ll cherish. Fantastic activity for babies and toddlers as they explore their senses, through touch, smell and sight. Explore a variety of objects with different textures, consistency and materials. Unguided play lets the child explore. Comment below and tell us what activities your children enjoy during on a Ribby Hall Village holiday. Book a midweek break in April, May or June and each child can enjoy three FREE indoor activities guaranteeing lots of new play and learning experiences for them! For terms and conditions and more information on our baby & toddler breaks, click here.